As learning managers, you need to make sure that the right e-learning course reaches the right employees. If you consider the global scale of an organization, which has thousands employees, spread across various geographical locations, requiring numerous skills to function, delivering the right training to them becomes a challenge. In order to make this mammoth of a task easier, organizations use Learning Management Systems. A Learning management system or an LMS is a software application to deliver digital training programs. It helps you host, organize, and assign e-learning courses to your learners. 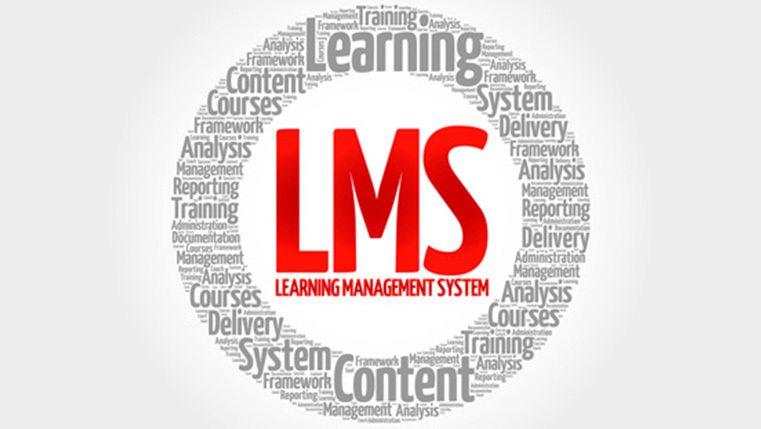 But a LMS is much more than just being a centralized repository for accessing e-courses. Since your employees will perform all their learning activities ‘inside’ an LMS, it can be effectively used as a highly sophisticated reporting tool. The centralized infrastructure of an LMS allows it to track all the activities of your learners. This data can prove to be highly useful in getting insights, not only about learner performance but also about the performance of the course itself. When you test your learner at each turn of your e-learning course, your learner should also be given the opportunity to assess the course. That’s why e-learning courses generally include surveys, questionnaires, and polls taking user feedback. A good LMS will compile all this data into a visual format using which you can easily gauge how effective your e-learning course was. If you ask the right questions, you even derive the exact strengths and weaknesses of your course. For e.g., if the feedback reflects that game-based content works better or module are too big, you can act accordingly and make the necessary modifications. A modern e-learning course is full of interactive elements. Be it dial or slider data manipulators or trigger based actions or full-fledged games, digital developers can create innovative ways to interact with their learners. But, are these methods effective? Are they adding real value to the learning or just serving as cosmetic gimmicks? Using the advanced tracking features of your LMS, you can figure out how much of an impact interactivities are creating. Measure the number of ‘clicks’ per interactive element, or analyze the scores and progress of the game, to give you an accurate idea about the impact. Course overview statistics gives you a complete picture of employee progress. Not only the current course but your LMS can keep track of a learner’s entire training journey from a novice till they become an expert. By pinpointing patterns and trends, a good LMS system may be able to explain individual performance issues and even give suggestions to improve their knowledge or skill base. For e.g., if many learners get a question incorrect, chances are that the information is not conveyed properly in the module. If a problematic trend is identified across an entire user base, then you can take more intensive steps to address the issue. Last but not the least, reporting quiz scores is the most basic form of tracking your LMS should do. The results of your online assessment are the most direct indicators of learner performance and progress. If you have set a performance benchmark then you can monitor specific skill or knowledge gaps among your learner group as well as your training. For e.g., if a learner scores low on a pre-assessment at the beginning of the course, but at the end the score improves, then the training can be said to bridge the knowledge gap. One strong parameter to monitor learner engagement is to look at how much time they are spending on individual modules. As a learning manager, when you create a module, you have an idea of how long it will take the average employee to complete it. If your employees are taking a lot longer or a lot shorter than expected to finish the course, you should consider revising the module to suit the target audience better. If you notice a majority of the learners spending too much time on a section, it maybe that part is not conveyed properly. Since such data will be generated for all the modules in your course, you can figure out whether the problem lies with one module or the entire course. A LMS is much more than e-course hosting platform. It is a powerful data-mining tool, which gives you unparalleled insights about your e-learning program. Confused which is the right LMS to choose? Contact an e-learning vendor to help you choose.